The availability of cash loan has been increased due to the availability of cash with the lenders. These instant loans are unsecured loans that don’t require any security. Individuals can borrow money starting from INR 10,000 to INR 2 lakhs. Such loans are all purposed loans, you can get a loan for most of the reasons. 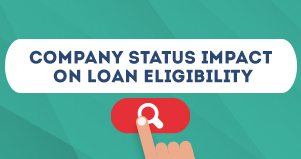 The small loan is been provided based on the applicant’s repayment capacity and also credit history at times. But if you opt for CASHe, instead of your credit history, the application will be judged on the basis of your Social Loan Quotient (SLQ). If you have a bad credit history you can read more about SLQ. 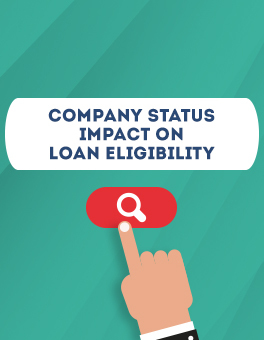 To avail a cash loan, one must be a salaried employee of a registered company. The age of the applicants must be between 23 years to 58 years old, especially if you are opting for instant loans online. In many cases, the chances are bright if you work for a well-established company. Wondering how? Some of the lenders available in the market offer instant loans easily to the employees of the reputed company. Lenders do profile the users based on their employers. Most of the banks categorize companies on the basis of whether they are listed or non-listed, which are further differentiated into Super A, Cat A, Cat B, Cat C, Cat D, Silver, Gold, Platinum, Diamond and so on. They offer great deals on instant loans to government employees and top-rated private and public companies. For e.g. : Abhishek, who is working at one of the top-rated companies in India, earns INR 30,000 per month. He is looking for a cash loan to buy a new car and approaches a lender. He gets the loan with 13% interest. Rohan, who is working at a small firm, earns INR 50,000 per month. Even he is looking for a small loan and approaches the lender. He gets the same loan for 15% even though he earns more than Abhishek. Abhishek got a better deal because of his employer’s status. He is a hot lead for the lender. This is because people working for top-rated companies are considered having a stable income. The chances of them being in the default list are thin. Another reason is that these top-rated companies having financial tie-ups with many reputed banks and institutes, which is not the case for employees who work for a non-listed company. This doesn’t mean, individuals, working for non-listed companies, small scale companies can’t get instant loans at a better deal. Online lenders offer small loan on the basis of minimum documentation, which involves your identity proof, address proof, and income proof. The interest rates start from as low as 2.5%. The only eligibility criteria here when it comes to employment status is that you should be working for a registered company. The disbursal procedure is much faster than the traditional loan as it directly gets transferred in your personal savings account.